I love cornbread. Probably too much. 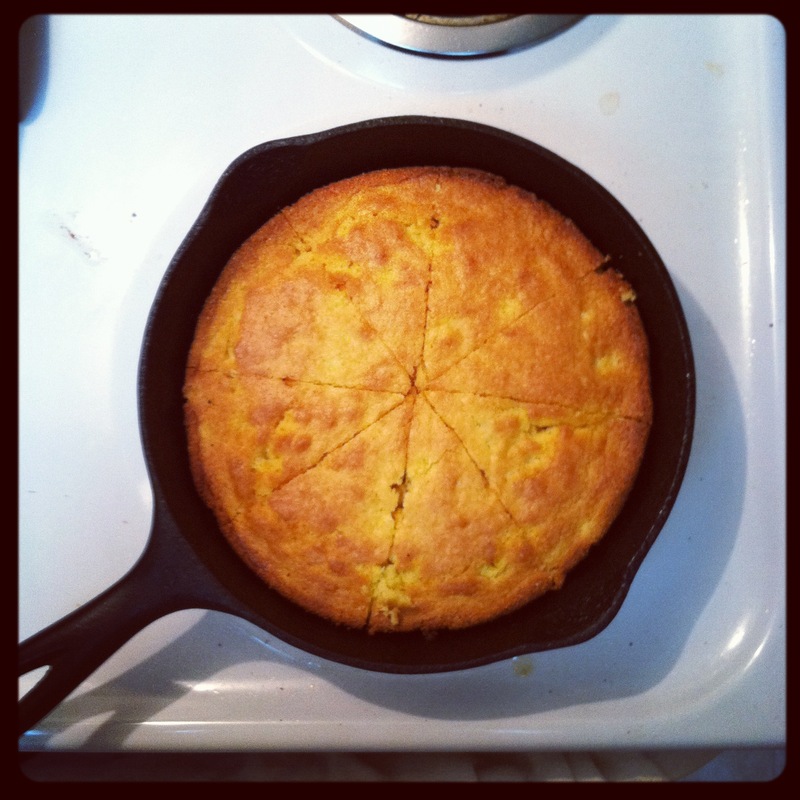 When I acquired my grandmother’s cornbread-only skillet, I decided to make the most of it! Preheat oven to 400*F. If you’re using a cast iron skillet like I did (pictured above), you’ll want to preheat the skillet as well. You could also use an 8″ square baking dish. Combine cornbread mix, milk, egg, garlic powder, paprika, and corn. Mix well, but leave some lumps. When the oven is preheated, pull out the skillet and swirl some evoo around coating the bottom and edges. But you don’t need your dough swimming/drowning in it. Just get it all wet. Pour in batter and stick it back in the oven. Cook 20-25 minutes until the top is beautifully browned and a knife comes out clean. Let it cool for a few minutes and then slice that baby up and enjoy the corny goodness!